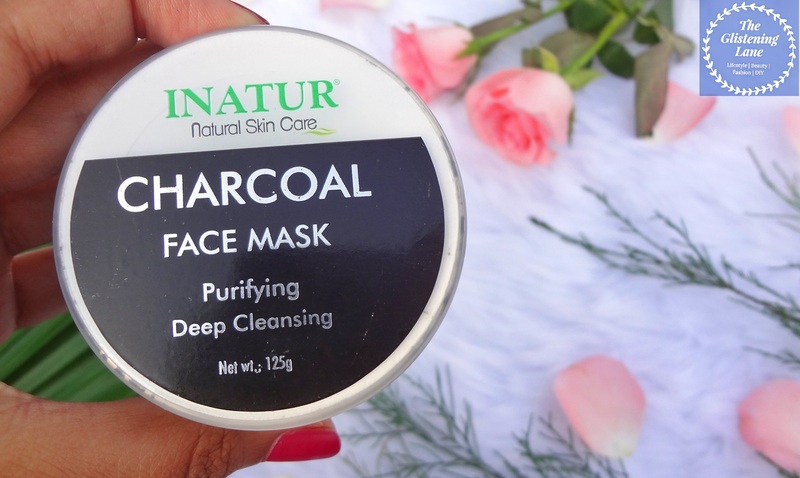 Inatur Natural Skin Care: Charcoal Face Mask – Purifying & Deep Cleansing| Price, Review + Buy Online! If you have an oily facial skin, you’d definitely swear by charcoal! And why is that, you may ask? That’s because Charcoal has the tendency to attract impurities and absorb oil. There are many ways as to how you can incorporate Activated Charcoal in your daily life activities. Although I’ve personally never tried creating anything on my own out of it but I read it can be incorporated for cleansing of teeth. So some time back, I got Inatur’s Charcoal Face Mask and I was super excited to try! By then, I had not used any charcoal skincare item and ironically just after that I ended up with two more charcoal masks; one from Greenberry Organic’s whereas the other was from Fuschia Vkare which I received in my Adore Beauty Box. If you fall amidst normal to combination skin type, then probably Inatur & Fuschia’s Charcoal Mask would work for you; while for oily skin type GreenberryOrganic’s Mud Ash 3 in 1 Face Care is bae! This is what I’ve felt each time I’ve used any of these three. 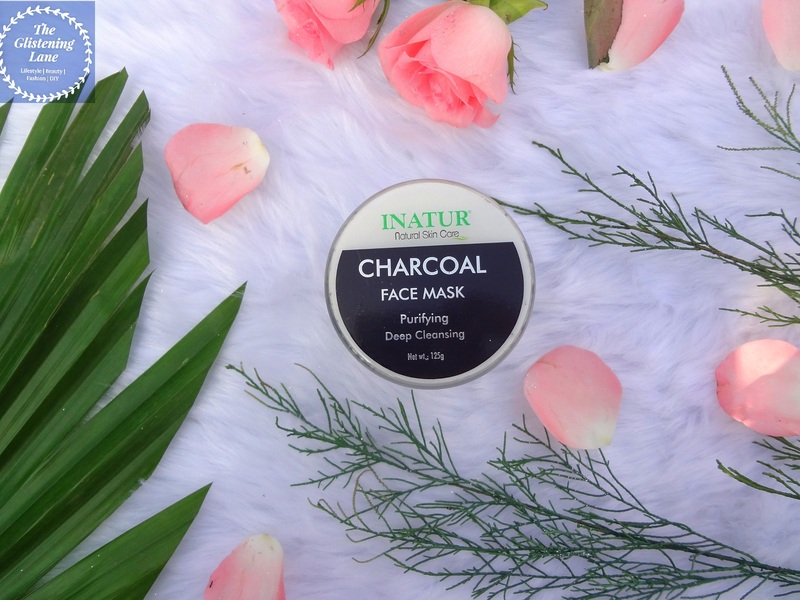 Description: Inatur Charcoal Mask helps to detoxify and purify the skin. It gently removes all the skin impurities and especially beneficial for tanned, oily and acne prone skin. 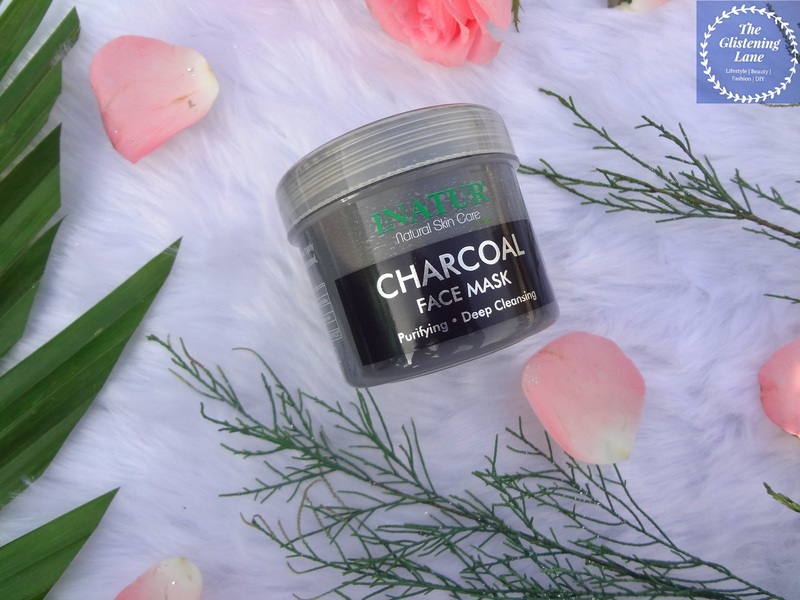 Directions to Use: Apply a thick layer of Inatur Charcoal Mask on clean-damp face, leave it for 15 minutes and rinse with water. For best results, use twice in a week. 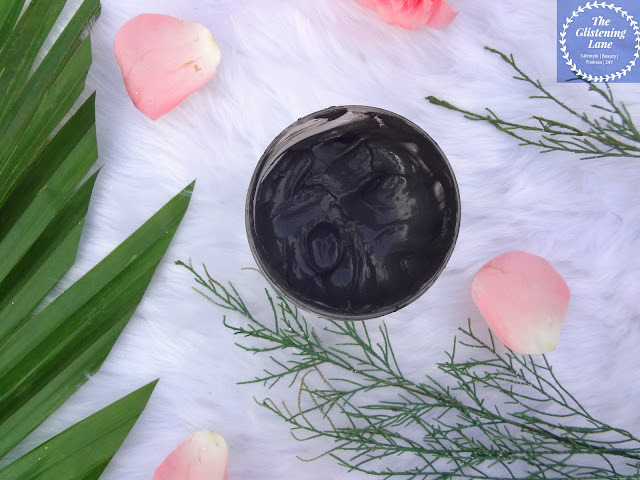 Ingredients: Aqua, Glycerine, Kaolin, Charcoal Powder, Myristyl Myristate, Octyl Palmitate, Sweet Almond Oil, Neem Extract, Cyclo Methicone, Lemon Oil, Basil Extract, Hydantoin, Phenoxyethanol, Fragrance. Packaging: The Inatur Charcoal Face Mask comes in a simple & basic plastic jar with screw-open lid. All the details are properly given on the product itself. Although instead of a jar, some would find a tube packaging much simpler and hassle free but I prefer tubs because when the product is on the verge of getting finished, with tube you cannot use the product completely. Also, sometimes I tend to use various jars and bottles to keep others things within them when the original content gets finished. Since it is made up of plastic, you can go places with it & it definitely is travel friendly; no cases of leakage ever occurred. For the first time, I was introduced to this facial mask by some of my co-bloggers at Inatur’s Event itself. Back then, I haven’t had used Inatur products and the discussion we had at the Bloggers Meet-up left me impressed, especially because of one of the founders Mrs. Pooja Nagdev. That’s where most of the bloggers swore by this product and since I have acne prone plus oily skin type, this got registered within my Wish list for some time. Surprisingly, on their next event, the Inatur Team was kind enough to provide me with their Charcoal Cleanser & Face. I kid you not, we had a quiz session as well about skincare and the person answering was provided with each product. Also, they made sure that each person get’s products as per their skin type. Now onto the mask; the reason I love this facial mask is for the fact that it does not leave your skin dry completely. 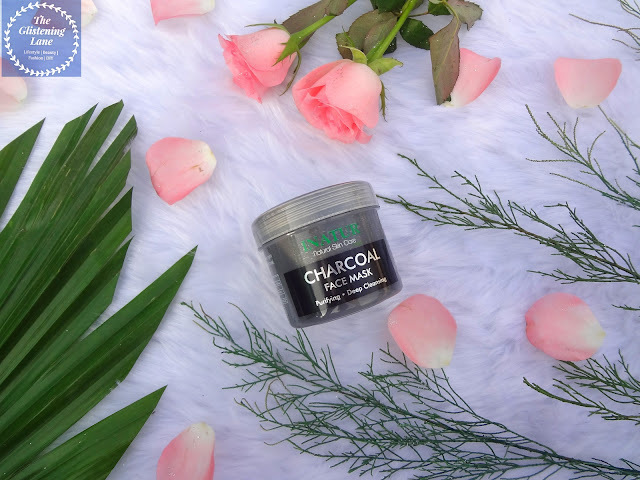 You must be aware that charcoal is endowed with potential to absorb sebum and is considered as a boon for oily skin type. But this one leaves the skin slightly hydrated as well. For instance, I’ve tried Greenberry Organic’s Mud Ash 3 in 1 Face Care as a mask and even though I love it for my skin, people from other skin type consider it excessively drying. They have revamped the packaging and formulation it seems now and I’ve not tried the new one so can’t say about that. The Inatur Charcoal mask smells kinda sweet & of some herbal. The consistency is pretty much creamy and application isn’t a hassle at all. The direction mentions that it ought to be applied onto the damp skin. But I’ve tried on damp skin as well as dry and there’s one glitch that always occurs while removal. The facial mask fails to come off completely and leaves your face greyish on some areas because of charcoal. The first time this happened I was in stress! But then I realized that you gotta either use a scrub for removing the remnants of this mask or cleanse the face with your favourite face wash. Initially I assumed it stuck to my skin because I did not damp my face but that wasn’t the case here. In terms of packaging, I loved the fact how they’ve mentioned about ingredients that are added within the mask along with what each ingredient does for the skin. As a buyer, I would love to have a short list like this. 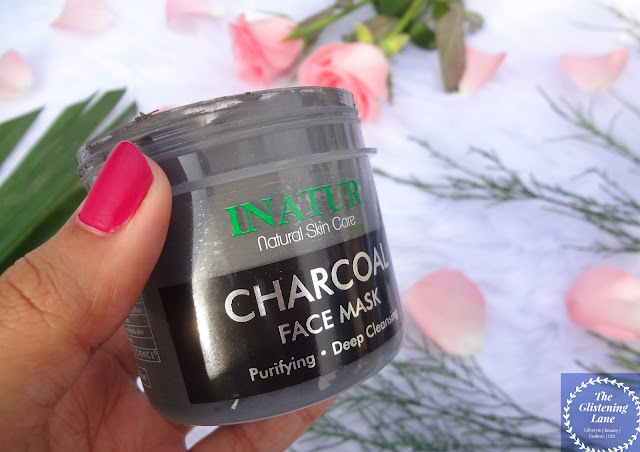 In case you don’t know it yet, the Inatur Charcoal Mask is Paraben & Sulphate Free. With each use, it has made my skin glow & look much healthier. ❤Ingredient List with What Each Ingredient Does for Your Skin. First of all, congratulations for your new website Bhawna! Amazing pictures as always... I loved the review... Even i haven't tried charcoal mask yet but I'll try it out soon..
Nice pics and yes I don't know why these charcoal masks are hassle to remove. And it's good that team Inatur made sure everyone got products with their skin type.